My family and I love going to Disney for mini vacations throughout the year. One of the means of travel while staying at the resorts is their bus system. I captured this one while heading to the parks one day. I snapped the following photo while on Disney's Great Movie Ride. 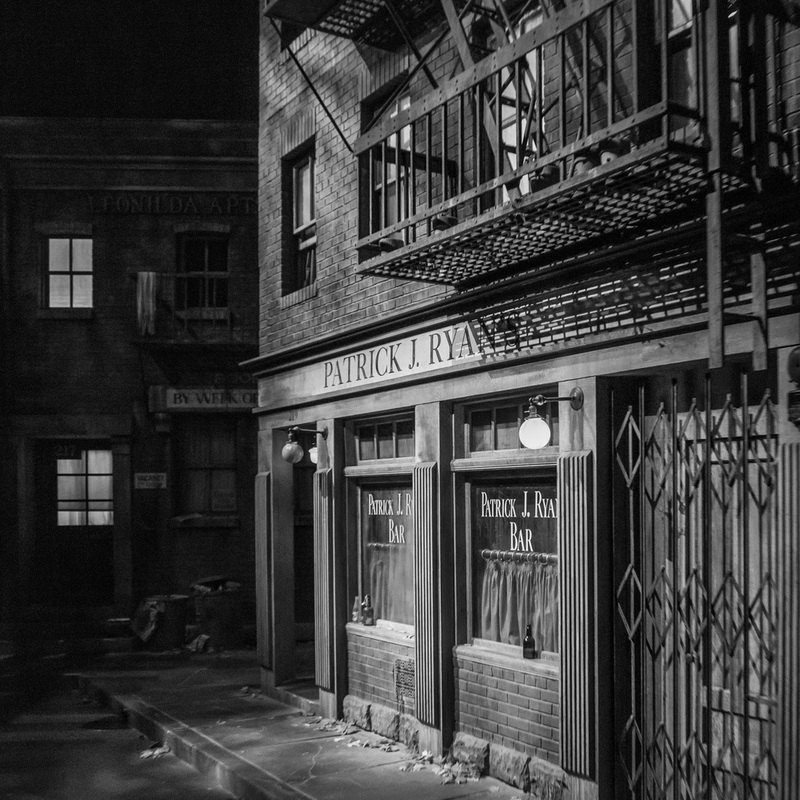 It looks like a real street corner but it's part of a movie set on the ride. I prefer natural light in photography. The photo below is a prime example of such light. My niece's prom was this past Saturday and she volunteered me to be her paparazzi for the day. I accompanied her throughout her day while she prepped for her big night. I must admit that I enjoyed taking photos at the various locations which I will share below. At the Prom dinner. My niece is the one on the right making the popular duck face.